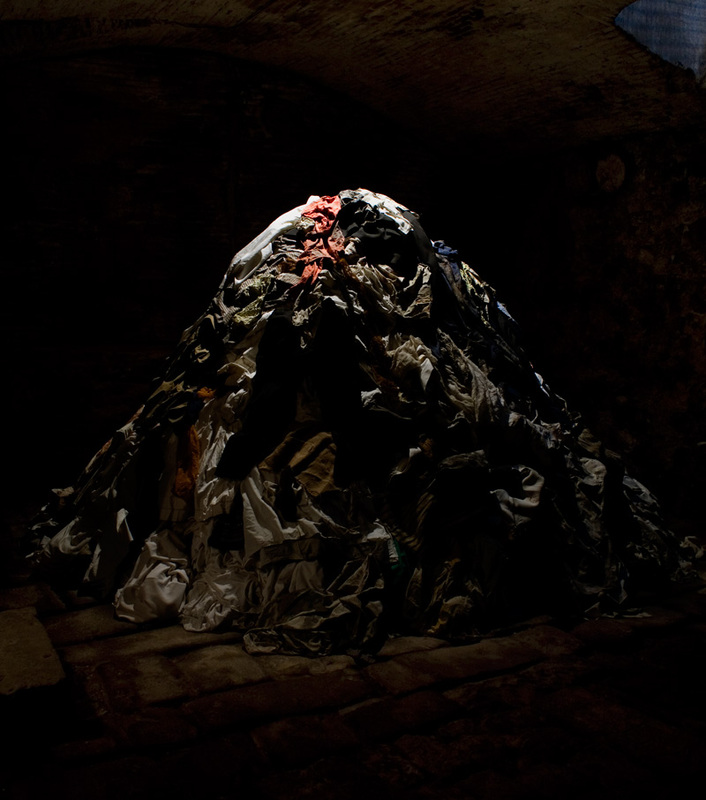 The first exhibition of the project Memory and Blindness took place in this singular venue, an old 14th century wine cellar similar to a stone crypt and located in the neighbourhood of El Raval, Barcelona. 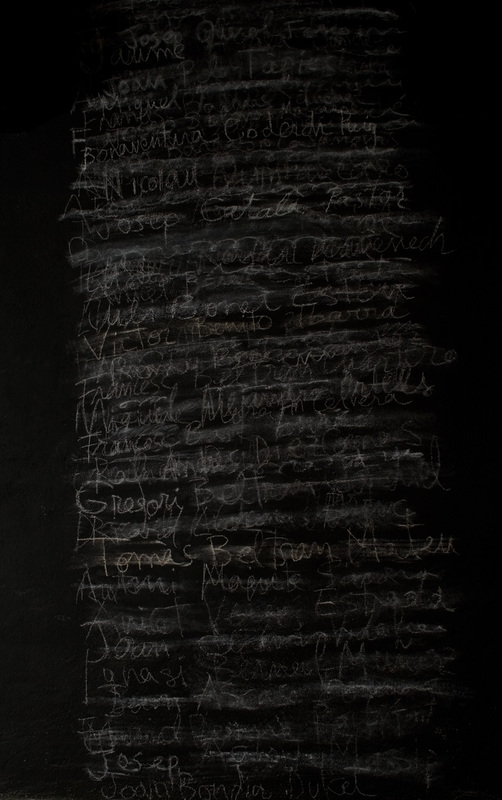 The title Anamnesis is a Greek word meaning memory, reminiscence. 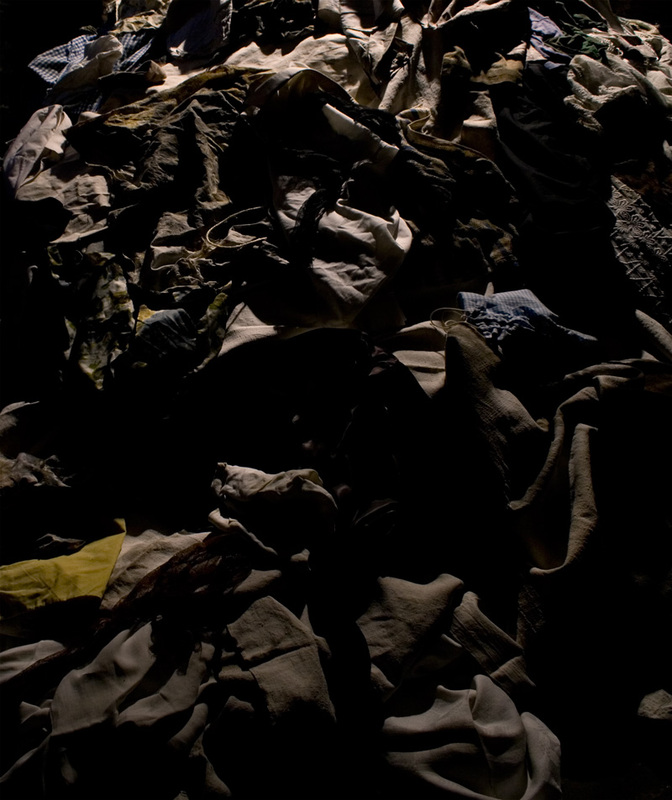 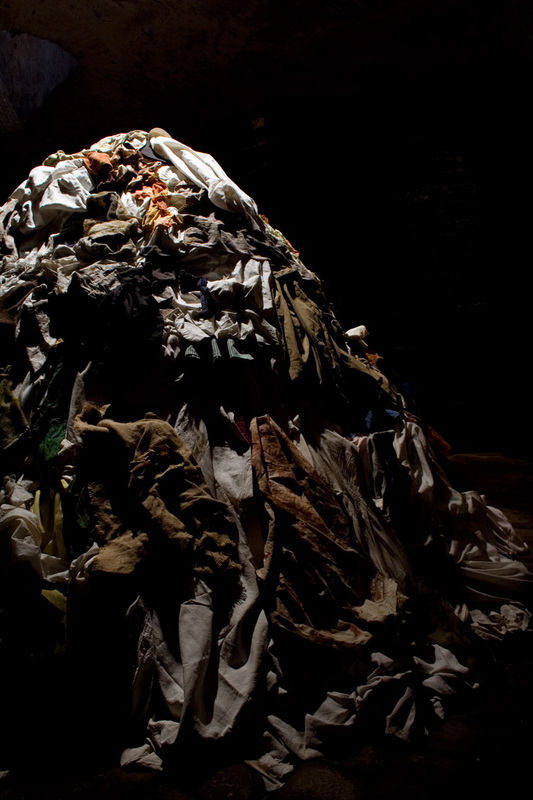 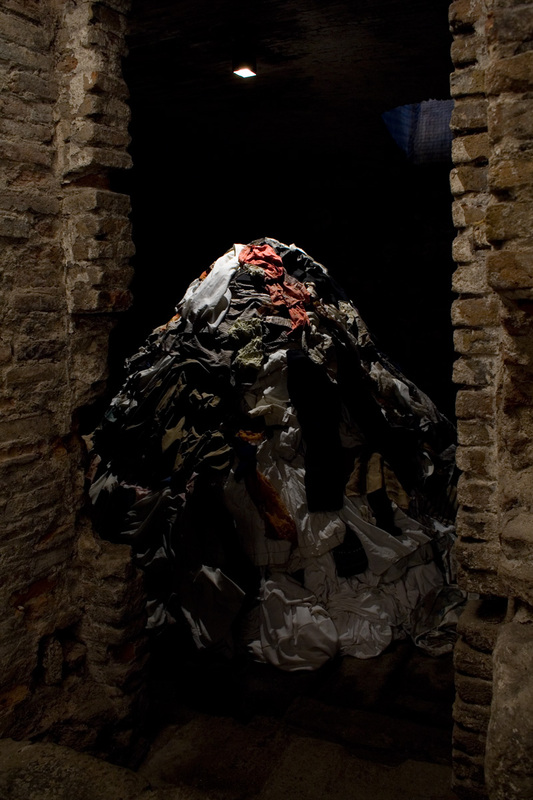 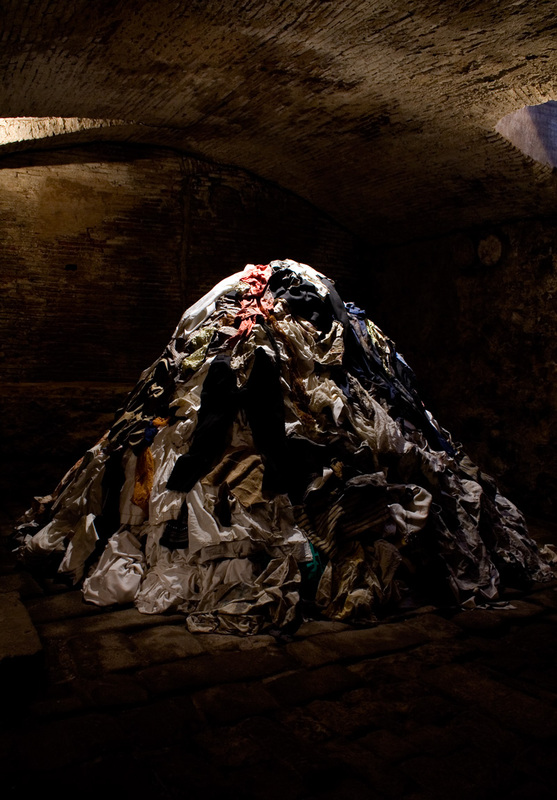 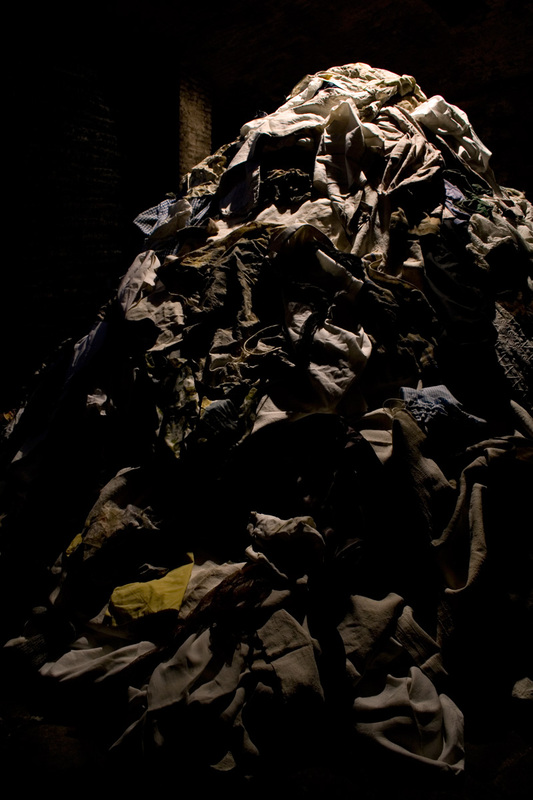 The visitor went down a stone staircase towards darkness, in a kind of initiation katabasis, to a half-lit underground space in the centre of which there was a 2.5 metre heap of piled up clothes, like a mountain of rags within a cave. 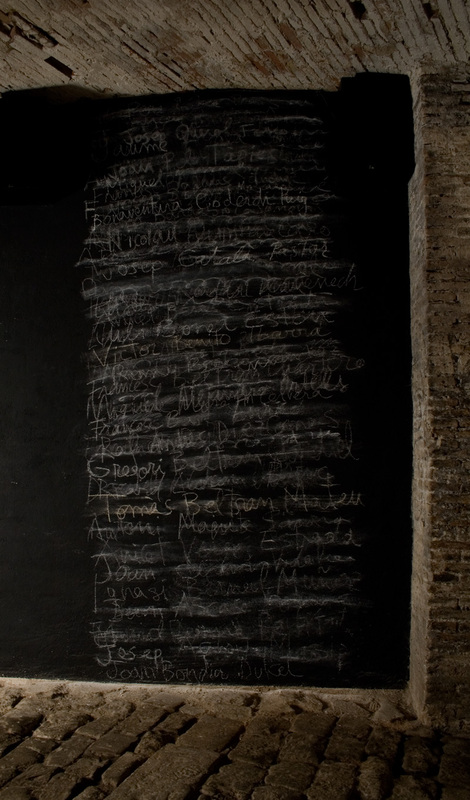 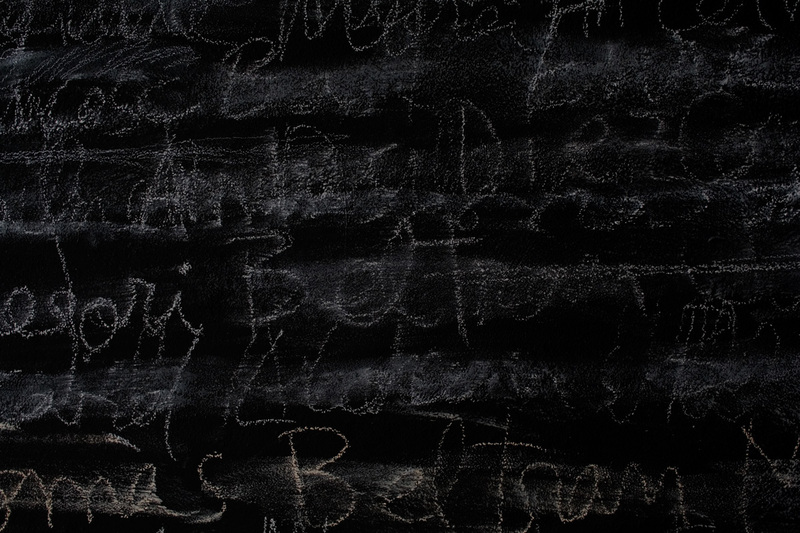 On a wall, names of the Spanish Republicans who died in the Nazi camps had been painted in black, a mural palimpsest visually echoing the piece.